The number of mangrove trees in Sanya River has decreased in the past 10 years due to pollution from various construction projects set up along the river, reports hinews.com. A resident, Mr. Chen, living near Sanya River for 20 years said the river quality is becoming worse and worse, with even some parts turning black. Since the river has been polluted, many fish have died. Other residents also complain that the polluted river is often accompanied by a disgusting smell. Statistics from the environment protection department showed that in the last 10 years alone, about 2,000 hectares of mangroves in protected areas have been destroyed. 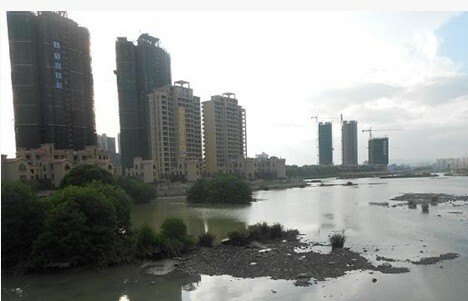 Sanya River used to claim 326 hectares of mangroves but the number plunged to the present 246 hectares. Experts pointed out that discharge of waste water from various activities is one of the causes to have direct impact on mangrove forests. The pollution will also affect the ecosystem in the wider area where birds and marine life depend on.